What Exactly Does Periodontist Training in Jacksonville Entail? Dentists have to go through many years of schooling before they can practice. But did you know that specialists have to go through even more schooling before they can provide treatments? Whether you’re training as an orthodontist, prosthodontist, or periodontist, certification and residency are far from easy or simple. In fact, specialist programs tend to be even more competitive compared to the path general dentists must follow. If you’re curious about what periodontist training in Jacksonville entails and why you may need to see a periodontist in the future, keep reading! Periodontists focus on making sure that your gums stay healthy. Healthy gums should be a light pink and are meant to keep teeth in place. It doesn’t matter how healthy your teeth are; if your gums aren’t healthy, they can’t provide a stable foundation for your teeth’s many functions. That’s where the periodontist comes in. Part of maintaining this stable foundation is confirming the health of your alveolar process. This area includes the parts of the jawbone that support your teeth. If this area deteriorates, a periodontist can help you restore it properly. What Training Must They Complete? In short, periodontists require a bachelor’s degree, a degree in dentistry or dental surgery and specialized training in periodontics. During undergrad, people have the opportunity to choose a background that acts as the foundation for the rest of their dental schooling (typically a science or biomedical degree) however choosing a science field during undergrad is not necessarily mandatory. What is necessary is four years of dental school and the completion of a residency program. This program is usually between 30 and 36 months in length, but this can vary depending on the university, hospital or other medical office providing it. The American Academy of Periodontology recommends programs that accept students with a class standing in the upper 50 percent, National Board scores in about the 80 percentile, and GRE (graduate record examination) scores above 1000. Finally, licensing requirements can vary from state to state. All dentists aspiring to become periodontists will need to take this into consideration, along with the incredibly stiff competition residency programs see annually. Why Should You Visit a Periodontist? If you experience pain while biting down, inflamed gums, chronic bleeding while brushing or flossing, or notice your teeth appearing longer than normal, you may benefit from seeing a periodontist. 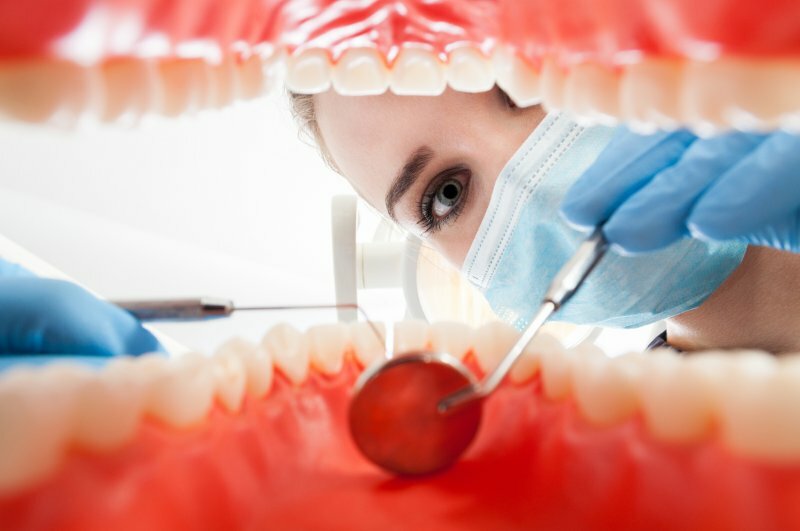 Not only can they confirm if gum disease is present, but they can treat current cases of gum disease and repair damage caused by previously undiagnosed cases. Furthermore, periodontists are the best doctors to speak to if you have a unique or complex treatment to complete, such as treatment for severe periodontitis or implant placement. Do you want to speak with a periodontist in Jacksonville in person? Schedule an appointment today to meet a local specialist! Dr. Richard Aguila earned his DDS degree from West Virginia University. He completed his hospital-based General Practice Residency at the Navel Medical Center in San Diego and practiced general dentistry in the Navy for six years prior to beginning his specialty training in periodontics. He earned his Certificate in Periodontics at the Medical University of South Carolina. To learn more about his practice or expertise, you can contact him through his website. Comments Off on What Exactly Does Periodontist Training in Jacksonville Entail?